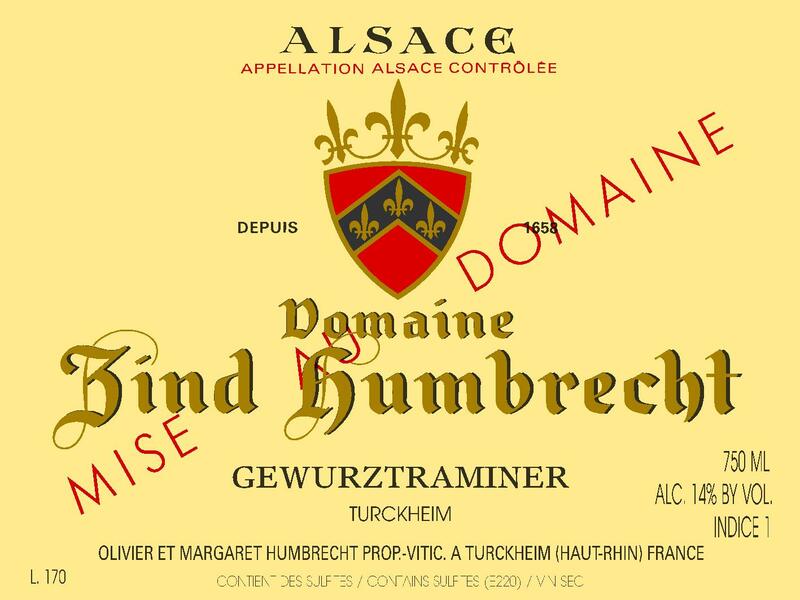 Exactly like the Pinot Gris from the same area, the vineyards used to make this wine all originate from the Cru Village Turckheim. Both grapes are planted in the same area and are often side by side. The main difference is perhaps the age of the vines as some of them are really very old vines (planted in the late 1940s and 50s). The single vineyard Herrenweg is in the middle of what should become the Cru Turckheim. In 2014, unfortunately, we had some serious loss in this grape variety as it suffered a big drosophila attack. The precocity of the vineyard and the colour of the grapes (warm orange/red) attracted the insects. Field selections were drastic but we eventually blended the Herrenweg wine with this one. There was of course no interest in allowing botrytis to develop and therefore the fermentation was quite fast and the wine finished easily dry.